Snickers Clothing has tried to boost the craftsman within. Wear a Snickers Logo T-shirt in highly smooth and comfortable pre-washed cotton with 3D-effect print and patented MultiPockets convenience. • Features patented MultiPockets convenience, two smart side pockets, perfect for a mobile phone, PDA or glasses. 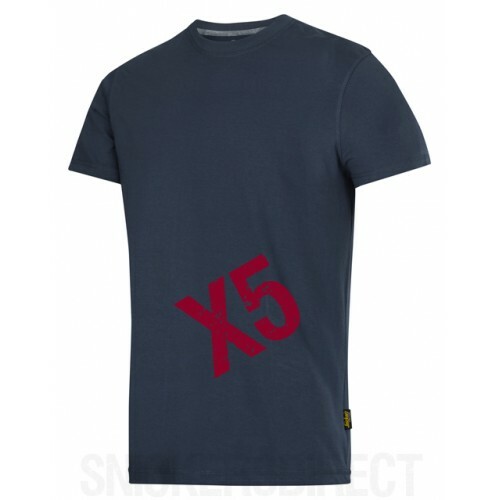 • The Snickers 2504 is the premium replacement for the 2514 best selling T-Shirt and along with the 2502 make up the new range of Snickers cotton T-Shirts. • Features patented MultiPockets™ convenience, two smart side pockets, perfect for a mobile phone, PDA or glasses. • Pre-washed cotton for smooth working comfort. • Wire loop at the neck for hands-free and MP3 wire from the MultiPockets. Material: 100% Combed Cotton 200 g/m². Single Jersey.